Video will be the next main source of revenue of operators. Consumers' requirement is changing a lot, and as content becomes more available and accessible the operation owners are also changing. Operators have big opportunity and advantages to monetize video service. 4K Video is a hot topic in the video industry. It will certainly bring extreme video experience to end user but at the same time it will be a big challenge to the operators. Huawei boasts E2E 4K optimization solutions from the platform to the bearer network to the STB. It will help carriers deliver ultimate 4K video experience and facilitate the rapid development of 4K video service. 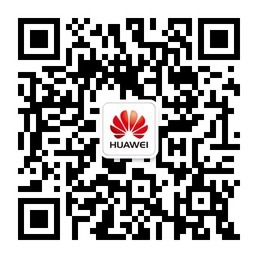 This document introduce Huawei's IoT connection management platform, which is open, safe and high efficient, and it will be a new growth engine for a better connected world. Digital transformation is deepening. More and more telcos are striving to become a digital telco which can achieve growth by providing digital services. Huawei launches its Digital inCloud strategy and solution, dedicated to helping telcos to build digital ecosystem and infrastructures. Operators around the world are racing to benefit from the growing business opportunities in various emerging domains including B2B and B2B2X. Huawei Digital SDP allows operators to mine new stems of revenue by enabling openness, flexibility and strong support for business, enterprise, partners and digital cross-domain functionality. Mobile Money is the most effective start point the carrier can take to make the business transformation in digital era, which CSPs can fully utilize their own advantages, to quickly enter the finance & payment industry. With all the changes digital revolution made on the production, marketing, logistic and other business processes, the digital infrastructure is evolved to support the operation of new digital value fabric. The digital evolution on business architecture and enterprise architecture brings challenges and opportunities for CSPs.